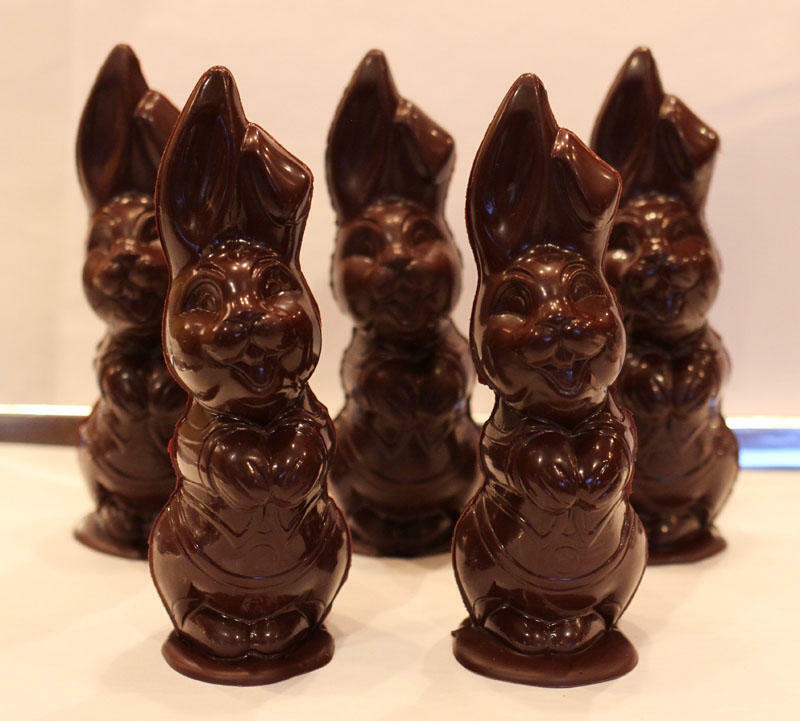 These love bunnies help so very much with Easter chocolate production! I have that mold. Your name for it is much more customer friendly, may have to borrow it. I've been calling them f'ing bunnies. I don't know if Easter production is going to happen for me this year. Maybe some quick and easy stuff. I'm moving this month so gonna be pretty busy with that. Good luck with your move! Of course you can borrow the love bunnies name. I just happen to prefer love bunnies to f'ing bunnies. 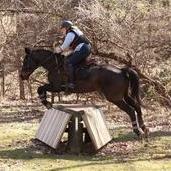 But f'ing bunnies sounds much cooler when Kerry says it than when I do! 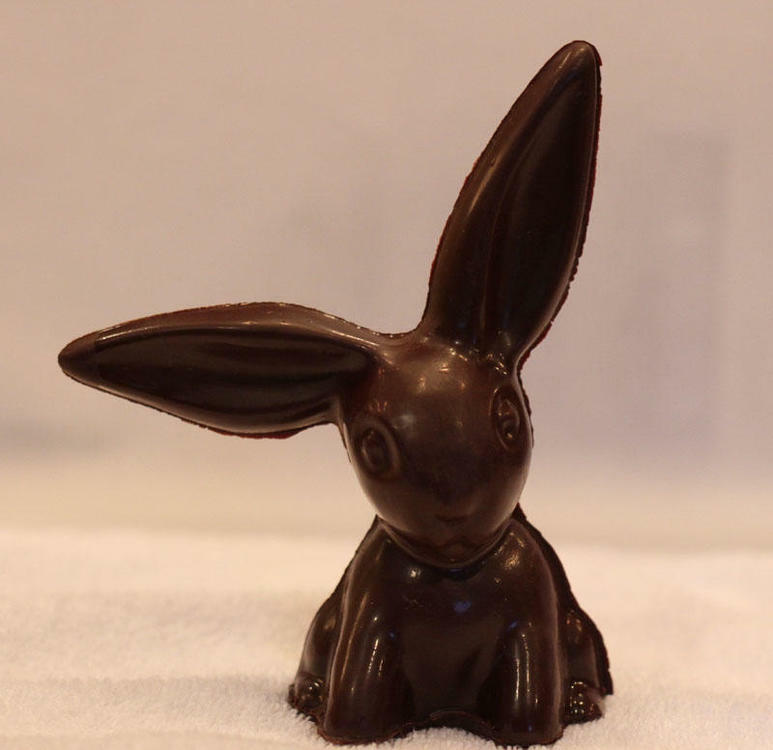 This year I am making 6.5 inch Easter chocolate eggs filled with liquor chocolates. Last year I made the same treats but in chocolate baskets (Picture 1). Love the fruit nad nut eggs you are making !!!! Also the dragons are they cocoa butter shells?? Very nice selection @A Polderman. I have yet to try starch molding, looks like you have mastered it. 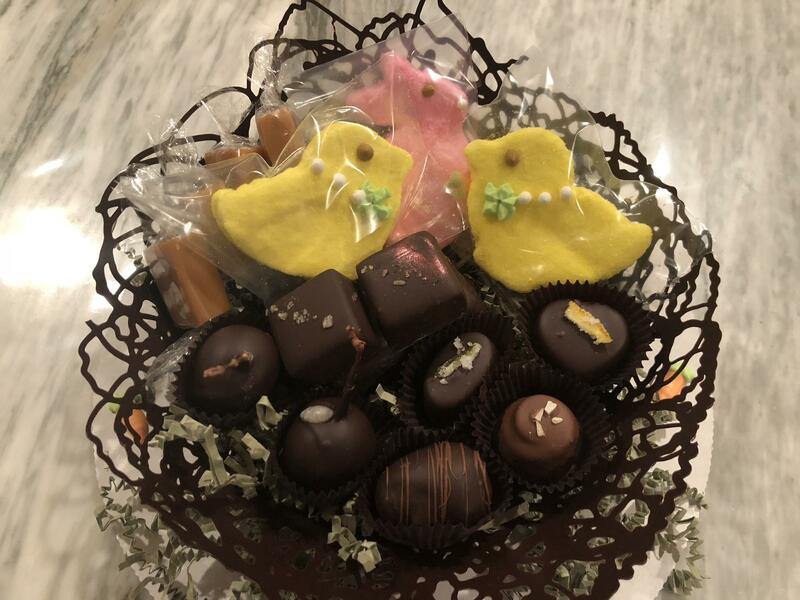 Such delicate and lacey chocolate baskets! They look quite delicate. Did they travel well? How did you keep them from breaking during transport? I’m confused about your question... what do you mean with are the dragons cocoa butter shells? I have polycarbonate dragon moulds. For this season I am shelling them in dark or milk chocolate and then filling them with a mixture of chocolate & crispy rice cereal. 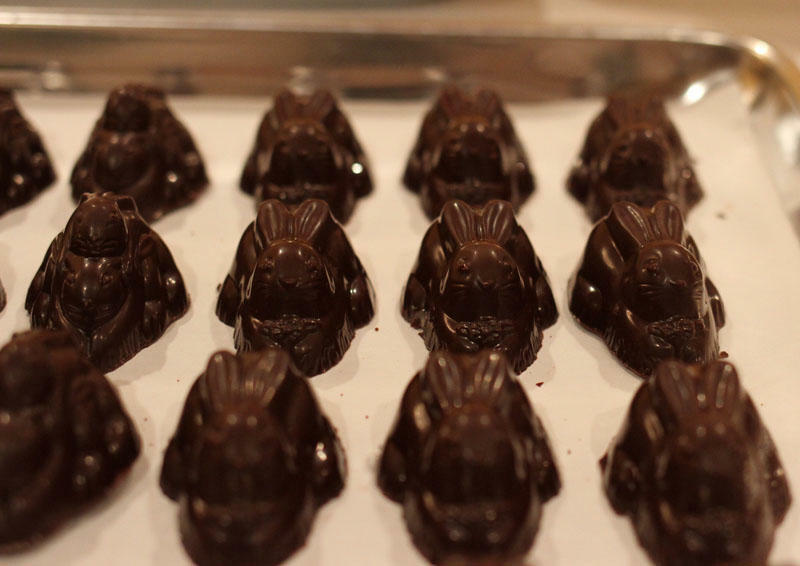 Same process that one uses for chocolate bon bons. Please let me know if I have answered your question. I love (not in the bunny way) the "pineapple" egg on the bottom right, compliments! Every time I see "those" bunnies I recall the dance craze, The Bunny Hop but now think of it as The Bunny Hump! I am just awash in envy at the artistic ability of you chocolatiers. I don't have the patience to make cookies let alone chocolates!!! 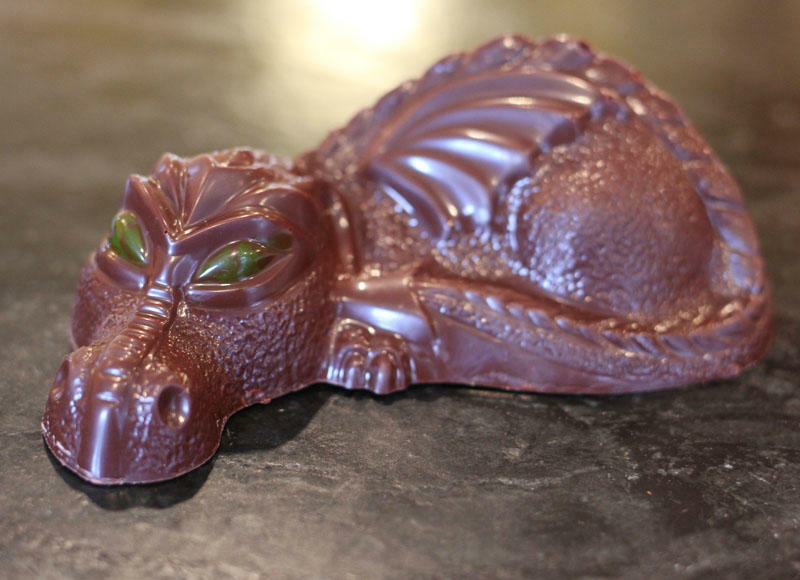 LOL @curls, your photo of the dragon appeared to look like a mauve pearl essence color so I was thinking that you may have sprayed the mold with a colored cocoa butter! :-) Now I see that its the reflection that gives it that appearance!!! The chocolate baskets travel well when I adhere them to on an 8 or 10" round cake board. I buy them by the boxload at our local smart foodservice store. I then wrap in cello and tie with a nice bow. I love starch molding. It is a fun challenge to nail down and very labor intensive but it is very rewarding in the end when I have treats that aren't typically made. @A Polderman, those eggs are beautiful, truly works of art. Did your husband use paintbrushes for the intricate pineapple design? If so, that's amazing since it is so difficult to paint successfully on polycarbonate. 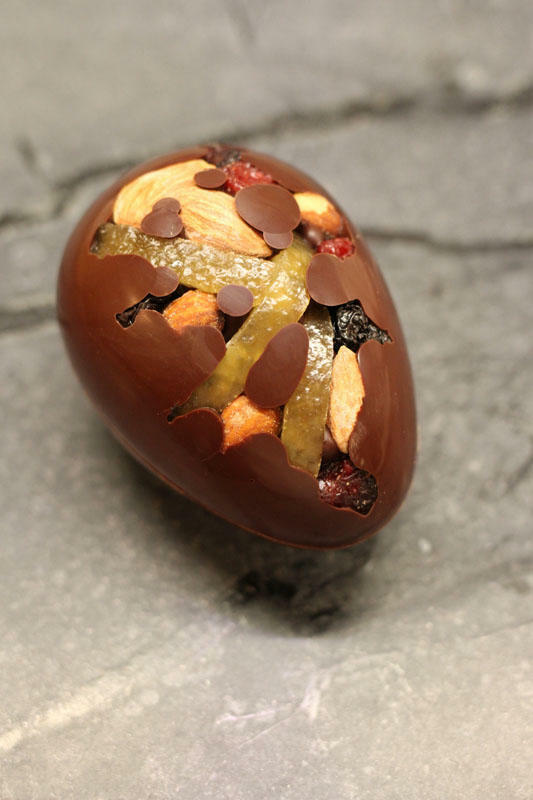 So often the cocoa butter is too fluid to stay where you paint it, particularly on the sloped sides of the egg. Do you have any tips on the technique? 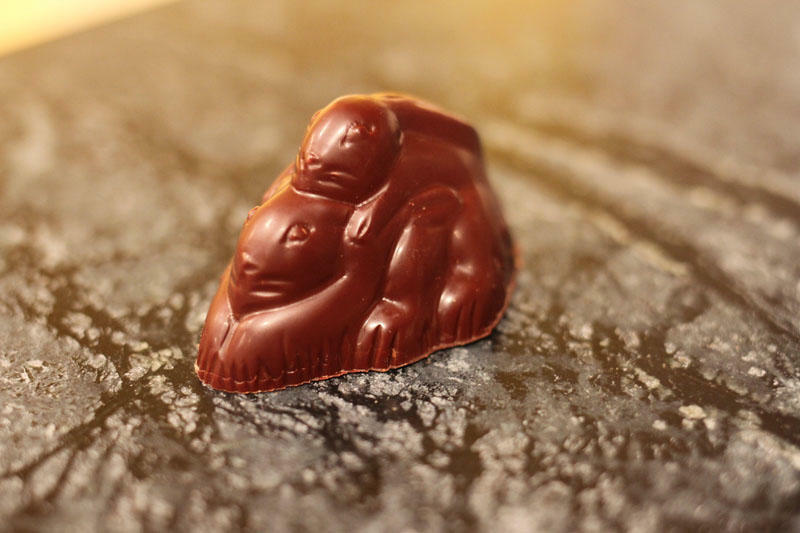 Do you have a chocolate business where you sell these creations? 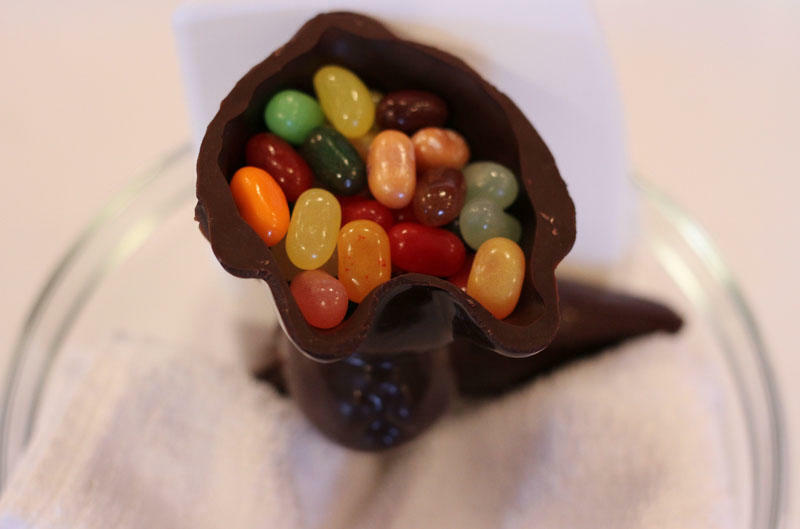 @Jim D. are you making any chocolates and/or confections for Easter? Please share your items. Yes, I am, but am currently too busy to stop for decent photographs. Besides, after @A Polderman's eggs, mine pale in comparison. My big success this year was getting an egg with a stripe--and not one drop of leakage of cocoa butter behind the stripe. It's all about the tape, I have learned. 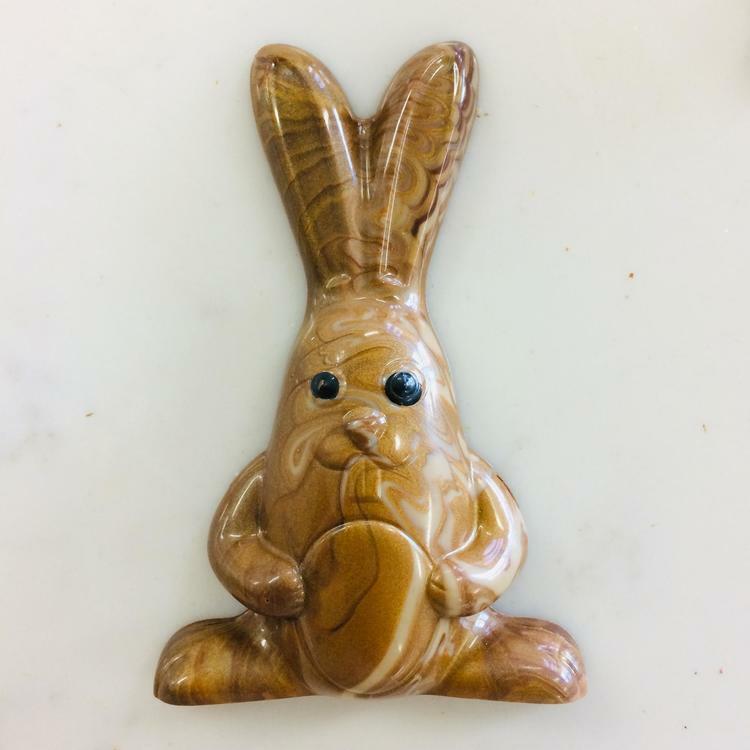 @pastrygirl, love the marbled bunny. 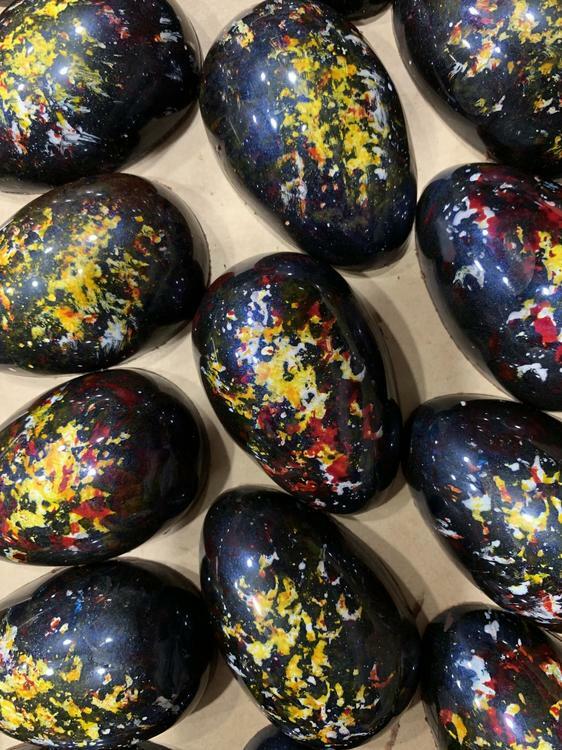 And obviously Jackson Pollock has come back to life to design those beautiful eggs. @Jim D. Yes he did use brushes for the pineapple. We haven't had too much trouble with fluidity but I have to laugh because I polish the heck out of the molds which creates static so I do find that the cocoa butter sometimes jumps around inside the eggs when the brush touches the mold to an area I don't intend it or want it to be due to static cling! I have been using two types of colored cocoa butters. Chef Rubber and homemade. The chef rubber products have a great consistency for painting. I store them in glass airbrush jars and remove the lid and microwave them in 20 second intervals. Put the lid on and shake to melt the rest then store in a heating pad while in use. 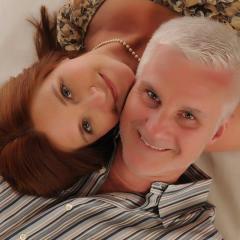 As for the home made, I use either powdered or liquid colors mixed with titanium dioxide. The liquid coloring gives an intense color but obviously makes the coco butter more fluid whereas the powdered colors seem to make the cocoa butter less fluid to the point of paste if you are heavy handed.. I really like the cocoa butters made with liquid coloring rather than store bought best when I intend to spray with it. I think for me it is getting the right brush for the look I am "hoping to achieve" having the right amount of cocoa butter onto the brush and mixing the cocoa butter into the correct transparency/consistency. if it is too fluid then I adjust my recipe or use less to avoid pooling. I also start light then layer another color or same color if necessary to achieve a less transparent appearance. Sometimes I go through a couple of different brushes and other times instead of repainting my layers or switching brushes, I airbrush a sold background color. If I'm not sure how it will turn out, I test on a piece of acetate and then adjust cocoa butter or tools to accommodate. My trade is real estate so my outlet from that is creating unique product for clients, staff & family. 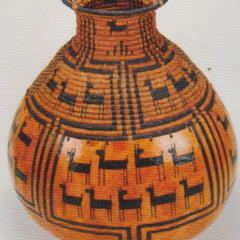 I distribute at open house events, holidays, & family get togethers. I plan to license my kitchen (sometime this year) so that I may sell if I opt to but mainly I just love to share with people and enjoy testing and collaborating fun new ideas with others. 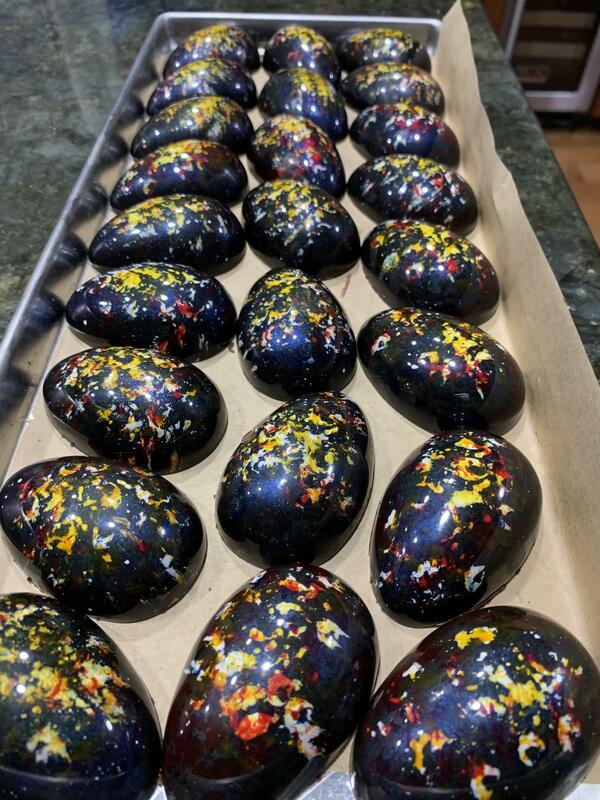 Dark chocolate eggs filled with peanut (fro fresh peanuts) and bean to bar dark milk chocolate mixture made in the melanger. We haven't had too much trouble with fluidity but I have to laugh because I polish the heck out of the molds which creates static so I do find that the cocoa butter sometimes jumps around inside the eggs when the brush touches the mold to an area I don't intend it or want it to be due to static cling! If you have problems with static then you just need to put the mold in contact with a metal radiator. If you don't have a metal radiator in the kitchen (don't know what heating systems you use in the USA, sorry) then just put the mold in contact with anything that has a "grounding line" (don't know the technical term in English, sorry) to remove the static electricity. If you google "how to remove static" you'll find much better explanations than the ones I can try to write translating from Italian. Around Baltimore, at the old family run candy houses, you can still get beautiful sugar eggs. I am pretty sure that they are also available at Stever's in Rochester NY. 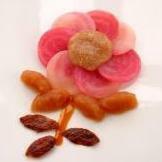 @heidih very cool that your aunt and uncle learned how to make them. My word, but there is some beautiful work being done. Thank you all for posting. Maybe you are interested, it says it costs $0 if you have Kindle Unlimited. Thanks for pointing out the existence of these eggs!